Marketing internships in China can lead you to work for some of the most exciting companies in Shanghai and Beijing as assistants and project coordinators for marketing directors, events managers and planners in some of the top advertising firms, events management companies and PR firms. Experience marketing at a whole new level. Company acts as an innovation exchange platform between global and local Startups, corporations, institutions and Universities alike. 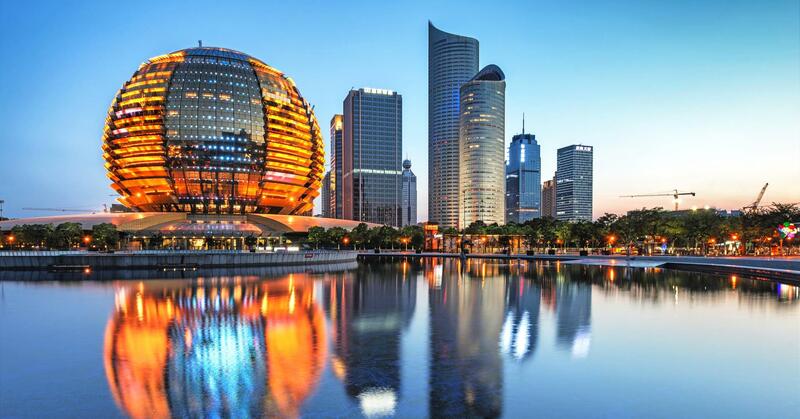 The company support international startups to land in Beijing and the rest of China, help to find the right investors, location and partners, we give a platform to exchange with some of the largest companies and leading universities in the world. This company is an exclusive design firm focusing on Interior Design, Architecture and its implementation. It is lead by three partners from Austria, China and Germany. Between the three of them they share more than 15 years of experience in design business (graphic design for media and advertisement industry, architecture, high end design, design & architecture in the automotive and finance industry and architecture that reflects corporate branding). During the last eight years the three partners have become well known in the Chinese design market. If high-end custom-made solutions and design innovation are required, our company is one of the best teams to work with. Since their establishment in 2007, this company has taken pride in the high quality of their design consulting services. Based in Shanghai, Hong Kong and Paris, they offer architecture and design services with an emphasis on environmentally sensitive design. Their studio practice combines skills to realize a clear core idea that brings together the subtleties and complexities of a brief. They aim to create timeless architecture by seeking spatial solutions with integrity and lasting meaning to its users. Founded in 1949, this company has long since become a leading name in the market for wines from Bordeaux and the south-west of France. A co-operative wine merchant with an impeccable reputation, This company has become the supplier of choice for countless professionals in retail distribution, restaurants and the wine industry. This consulting firm is a leading advisor on business strategy in China. They are based in Beijing. Their clients range from small and medium sized enterprises to multinational corporations in a multitude of industry sectors. They help them design Brand, Product and other business strategies by leveraging our best practices and on-the-ground experience and know how. They partner with clients to identify their highest-value opportunities, address their most critical challenges, and transform their businesses. With three offices in Shanghai, Hong Kong and Germany, they are an award winning agency specialised in Digital and Data Marketing. Their mission is to improve their customers' strategy, branding, sales and customer repurchasing through their creative technology. Due to their dedication, they are able to create world class experiences for global brands such as Ecco, InterContinental Group, Vans, Ford, Qoros and Puma. With 25 years of experience in machinery and equipment production in the plastics industry has achieved great recognition through its expansion to the demanding markets around the globe and our participation in exhibitions projects is an image of excellence to our customers. The company delivers top quality machinery, moulds & equipment guaranteeing fast and efficient production results. By minimizing cycle time, our customer’s products penetrate the market with a high level of competitiveness leveraging their operations to a leading position within the field. This company is an internationally renowned manufacturer of high quality welding machines and widely respected for its high-tech welding solutions for industrial applications sold all over the world. The company has well over 500 employees and produces more than 20,000 welding machine per year and have a turnover of approx. DKK 325 million. As one of the leading ICT service and online solution providers in Hong Kong, Greater China and Asia, we enable companies of all sizes to perform better. Our headquarters is located in Hong Kong and has offices in Shenzhen, Zhuhai, Dongguan, Suzhou, Shanghai, Beijing, Taipei, Macau and Singapore. We have data centers in Hong Kong, China,Taipei, Singapore and USA. Our Care Group is a licensed SBO in Hong Kong and is licensed ISP & VPN in China. Every brand has different objectives, and we strive to come up with innovative and creative ways to get you where you need to go. This company is a leading global incubator and VC fund that invests in the development of companies in the internet industry. It identifies and builds proven Internet business models and transfers them to new markets where it seeks to scale them into market leading online companies. The company is focused on proven online business models that satisfy basic consumer needs across three sectors: e-Commerce, marketplaces and financial technology. Started in 2007 and now has more than 25,000 employees across its network of companies, which are active in more than 100 countries across six continents. TokenInsight is dedicated towards providing accurate ratings, research, and analytics that contribute to more informed financial decisions and market transparency. This is a top level design company with a focus on branding and packaging design. Established in 1987 with a head office in Melbourne, they also offer full services in Sydney, Auckland, London, Beijing and Vietnam. The company employs approximately 120 staff across the group and is structured to specialize in global FMCG brands. Liam, Swiss national and founder, was living in Beijing when his fiancée, Jess, decided to move from Canada so they could be together. Within a week Jess developed asthma, which she had experienced when she was a child but left behind twenty years ago. If they were going to continue to live in Beijing, something had to change. The goal: to create a system that would provide a clean environment for truly healthy living, wherever you live. Liam had high standards: if they were to keep living in China, the air in their apartment must be as clean as the air in his home in Switzerland. So, he has found the best filter technology from Switzerland and brought it to China with the confidence and knowledge that it will provide excellent air filtration for their home. Liam and Jess realized that education and information are the only things that will help change people’s lifestyle. That is why right now, they are working on smart technologies for homes and business to help people manage their health and well being. Customer relations department in one of Beijing's best hospitals. This company is a tech media platform with a massive reach. Theri content has a global reach and millions of followers. We are the expert in safe and healthy water for you to enjoy in the comfort of your home and working environment. Whether you want to make sure the quality and taste of your drinking water meets the highest health standards or you want your family to shower in clean and chlorine free water, you can count on Water United to offer a customized water treatment solution. experiences supported by breakthrough technology and brand-new gameplays. 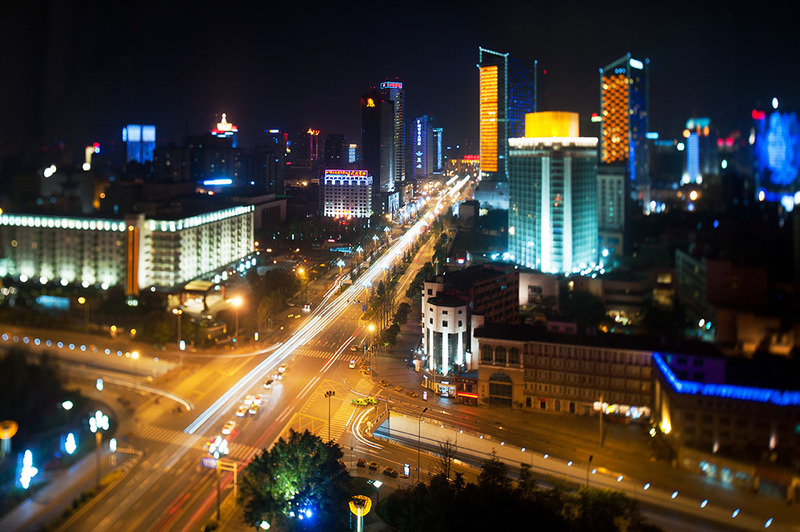 Wangfujing is at the heart of the city for government, business, tourism and also shoppings. Our company is a global technology solution provider which service medium & large enterprises with cutting-edge solutions on eCommerce, O2O, Mobile and Cloud value-added services. For more than 10 years, this leading digital marketing & social commerce agency has been accompanying brands and retailers in the digitalization of the purchase journey of their customers. They support international luxury and retail groups to develop and manage their business expansion in China through social media activation, CRM, technology and e-commerce platforms. Placing innovation at the heart of their approach, they imagine and develop new uses around connected devices, in an ever more connected world. They’ve been supporting many well-known international brands, such as: Galeries Lafayette, Decathlon, Rolex, Klasse14, Charriol, DS automobile, Diptyque, Sephora, ClubMed, Etam, and many more. This company is a leading provider of digital marketing services and analytics software for Fortune 500 companies in China. At the company our mission is also to help Chinese businesses succeed online inside and outside of China; we support companies by providing best-in-class websites, search engine marketing, media support, ecommerce, lead generation, app development, and more, and offer a full suite of online marketing services. Due to their phenomenal growth and passion in the digital space, they are looking to add talented individuals to help them deliver on their mission and drive the company forward. This company develops Wireless digital photo frames with Wifi, 3G and Bluetooth inside to allow easy photo sharing.The products of this company are developed by a passionate IT & Telecommunication team that combine more than 20 years of experience in the field of technology products.Thanks to its experience, this company wants to use Internet at its best through an easy-to-use and enjoyable product. We are a dynamic Chinese company with more than 200 employees. Established in 2003, we are devoted to Developing and manufacturing Special Effect Pigments with a distribution network covering more than 60 countries. Our next three year plan will be focused on target markets: Vietnam, South Korea, Indonesia, Thailand, Iran, Turkey, Italy and United States. This company is specialized in providing microinverter solutions. This company offers advice and support on import and export activities to and from China and helps companies with business development in China. SAGE Worldwide specializes in bringing leading voices on Asia to the world. We facilitate productive exchanges and learning environments for those who want to know more about the world’s fastest growing marketplace for goods and ideas. Our speakers have a wide variety of expertise and cover topics including: the economy, international affairs, business, media, healthcare, wellness, lifestyle and much more. These industry leaders SAGE provides to you, the client, gives you access to ﬁrst-hand views on China and all of Asia. Their motto is “to relax the world! This is a fast growing ed-tech startup company bringing modern technology to the English testing market. This company is changing the industry using their cloud-based language assessment platform, video production and delivery technology, and scalable interview infrastructure. Founded in 2010, this company specializes in high-end Interior Design & Construction. They have an experience of over 1000 projects in Residential (villas, apartments…) and Commercial projects (restaurants, retail shops, bars, clubs, offices, hotel...). All of these successful projects have been achieved thanks to their International Design Team composed of senior designers from Europe & China, and their Construction Team composed of more than 150 workers, project managers and quality directors. This company can help its clients from A to Z on bringing their concept to reality. They have cooperated for a long time with many business owners in order to develop their business and build their brand image efficiently. We are a newly born startup, based in Shanghai that operates in the ecommerce space. We are a B2C online shop where users can find a multitude of special offers and deals on imported and local food products. Our customers are foreigners and Chinese looking for good quality products at affordable price. At the current stage, we operate on a Wechat based platform, and an independent website is planned to be online by the end of August. AFit Training Studio is a platform where people can find everything they need to improve their lifestyle in a sustainable way. We care about people and the world. Thus, we are bringing the best natural & traditional cosmetics from France, as natural soaps from Marseille, natural sponges from Mediterranean Sea, natural Lavender from Provence, natural beeswax candles...Etc. Open to yourself the world of natural cosmetics and enjoy the positive effects on your body & mind. This company is a pan-Asia, multi-disciplinary professional services firm, providing legal, tax and operational advisory to international corporate investors. Operational throughout China, ASEAN and India, their mission is to guide foreign companies through Asia’s complex regulatory environment and assist them with all aspects of establishing, maintaining and growing their business operations in the region. With more than 23 years of on-the-ground experience and a large team of lawyers, tax experts and auditors, in addition to researchers and business analysts, they are your partner for growth in Asia. This is a French brand of dainty handmade jewelry created by a French couple living in Shanghai. They carefully choose unique raw materials, design and create every piece by themselves. The brand concept is around traveling, reflecting the wanderlust of the founders. Moonstones, Lapis Lazuli, Amazonite and white Turquoise just to name a few. The brand aims to provide high-quality pieces that are timeless by both their design and their quality. Established in 2011, this restaurant/bar has become a must for Wine Lovers in Shanghai. This is well known for its unique 360-degree panoramic Rooftop terrace. It also provides a multi-cultured Restaurant and Private Lounge space, combining both French destroy-chic spirit and vintage spirit. This company is an exclusive menswear tailoring experience. They focus on the premium production of exquisite, Made-to-Measure (MTM) products. They employ a dedicated team of over 200 professionals in our Shanghai, Beijing, Hong Kong, Mumbai and Milan offices. To better serve their clients’ needs, they have developed strategic alliances with partner companies in Asia. They also engaged in partnerships with world-class event companies in Paris, New York to extend their professional business scope across the world. With this company, you will be working with Beijing’s original streetwear brand. They work with artists and designers across China, to bring an exciting, fun, and creative new take on Beijing to the world. Founded in 2005 as the first shop on Nan Luo Gu Xiang, they started a creative boom in Beijing. Their award winning business has been featured in media around China and the world, and is considered as a must-see shopping destination in Beijing. They celebrate the old and also show off the new, through fun, creative, award winning artwork and design. WildChina is a fast-growing premium, boutique travel company headquartered in Beijing, China and with additional offices in Washington DC, USA. We are proud to have been named National Geographic's "Best Travel Company on Earth" for China and featured on Fast Company’s “50 Most Innovative Companies of 2014” list. Since 2000, WildChina offers journeys to all corners of China for small groups and individual travellers, as well as for local and international educational institutions. Our corporate services division also delivers comprehensive logistics and services for MICE travel. Our team of adventure-friendly experts caters to an exclusive and sophisticated clientele interested in exploring and experiencing China differently. This company is a small software startup, maker of a game discovery solution website. They aim to solve the discoverability issue which currently undermines the sustainability of the mobile economy: with over 1,000 new apps released each single day, consumers fail to discover the software they need/like and app developers fail to reach their audience. The company's website brings in a solution based on personalization: it understands what each mobile user truly 'likes' and spots the mobile games best suited to their tastes. This is a social enterprise that brings you the finest in natural products. The company takes great care in selecting the purest natural ingredients and takes great care in quality of their products to give their customers a healthier alternative. Consuming natural foods has wide ranging benefits for health; switching to organic and natural foods is an easy way to minimize the toxins our bodies have to cope with in the modern world. They are also committed to giving back to our community. The company donates a portion of profits to their non-profit partner, the Yunnan Mountain Heritage Foundation, to support projects in poverty alleviation, cultural preservation and community service in mountainous Yunnan province. They provide income generation by buying at fair trade prices and also offer new skills and training to local farmers. They encourage organic farming in every way possible and choose products with minimal impact on local ecology. Their products range from gourmet coffee and honey to natural cosmetics. The premier grade coffee is grown by a cooperative of farmers in the pristine environment at altitudes of 3000 to 4000 feet above sea level. Their honey is made by bees from wildflowers with strong health benefits. The cosmetics line uses fresh natural ingredients with no synthetics, additives or preservatives. All of their products use organic growing methods, which are 100% natural. This company puts quality first. Taste, purity, careful cultivation, protecting our environment and supporting their farmers are all crucial parts of this quality. Founded in 2006, this company is an innovative architecture design and research practice focus on creating unique, futuristic design that breaking traditional boarder with attention to the humanity well-being, environment and culture. An experienced and professional team from different culture was formed in our London and Shanghai offices, delivering projects across Europe, North America and Asia. This company's focus always has been, and always will be getting the finest Chinese teas to their customers worldwide. The travel company organizes trips long and short trips. Has local partners to create an authentic experience and avoid the tourist traps. This company has been in operation in Beijing since October, 2011, and they are one of the market leaders in terms of casual health concepts. Health is the major reason for why they do what they do, and the company’s concept was created to start offering people living in Beijing a tasty and healthy food option. This company was founded in January 2015. The idea was built around the Chinese enthusiasm for domestically utilised E-bikes with the intent of designing and manufacturing their own models that would appeal more to the western market. So far this company has created 3 bespoke model prototypes that are ready to be taken into full production. The design focus has been making all the bikes highly stylish as well as delivering exceptional performance capabilities. New designs and concepts are already in the planning phases for the second wave of development. The next step in the company’s marketing model is to create a video production for the crowdfunding campaign. This is currently in the planning process and should hopefully be released late January / early February. The company specializes in family owned wineries from the most prominent wine regions in the world. They are now exclusively distributing more than 400 labels from 10 different countries to Hotels, Restaurants, specialized wine shop, high-end retail chains and private customers all over China. The company focuses on high quality wines, carefully selected and professionally marketed and distributed. They are playing an active role in the market place, implementing wine education programs in china. This company\'s mission is to help the best small companies from the UK thrive in China, and are leaders in the vision to double UK SME exports to China by 2020. They make it easy for small companies from overseas to come in and test the China market. They do this by allowing companies to operate and trade in China, without having to go through the time, cost and risk of setting up their own company. This company is a renowned international group with headquarters in Belgium. Today this industrial group holds a solid market position both in producing raw materials and intermediate goods and in offering an extensive range of perfectly finished floorcoverings. This company composed of three business units. ‘Flooring Solutions’ is the European leader in wall-to-wall floorcoverings (carpet, needle felt, artificial grass, cushion vinyl, vinyl planks, laminate, parquet & wall panels). A second business unit, ‘Granules’, produces polypropylene granules for numerous applications. And the third business unit, ‘Engineered Products’, houses the activities ‘Fibres’, ‘Yarns’, ‘Technical Textiles’ and ‘Technical Sheets’. We are a boutique ideas company specializing in Marketing & Branding, Business Development, and Optimization. Based in Beijing, we service clients in various industries like luxury hospitality, restaurants & bars, and lifestyle concepts. 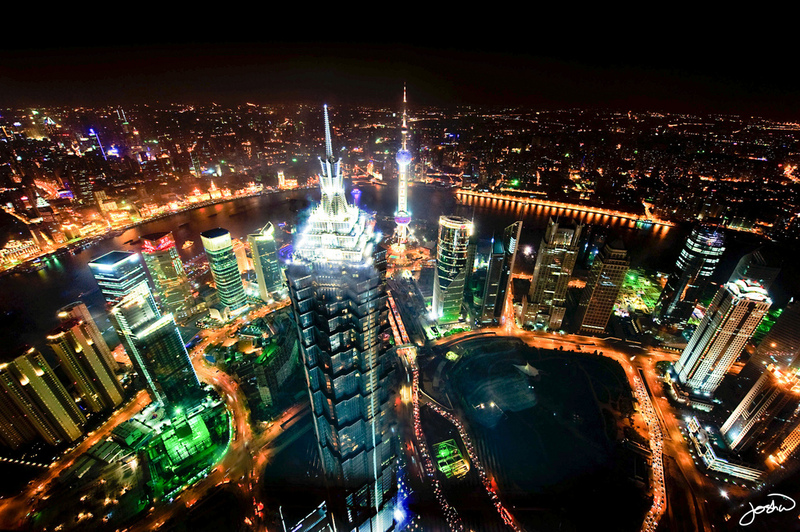 We advise our clients on access and approach to the Chinese market. Sometimes, we’re also a part of that approach with functional experience in campaign & content development, project management, and operations. We’re happy to help in anyway we can. courtyard in Sanduhe Village of Huairou District, just 5km from Mutianyu Great Wall. dishes, and therefore truly feel at home away from home. This is a hotel management company that designs, builds and operates luxury rural resorts conveniently located for major cities in China. There are two resorts properties to date, both in Zhejiang Province beside Shanghai, at Paitou and Moganshan. The company is a Wholly Owned Foreign Enterprise (WOFE) headquartered in Shanghai, established in 2007 by Grant Horsfield from South Africa. We are a European business consulting and marketing agency established in China since 2003, focused on commercial consultancy and services to foreign companies and institutions (mainly from Spain) for China market entry and growth. This is a production company of Ladies and Men tailored Coats, Jackets, Blazers, Pants and Dresses. Their company combines development, sourcing and production leveraging their in-house design team, their fabric sourcing team, their quality management team and their factory network. Founded in Hong Kong, 2002, this company has become Asia’s leader in creating and delivering high-impact marketing solutions that enable their clients to enhance their competitive advantage. Be it live events, brand strategy, public relation campaigns and/or advertising, our team builds experiences for all client-facing points of communication. Their Hong Kong Team services Southeast Asia, while their Shanghai Team provides solutions throughout Greater China. We are Shanghai's only Boxing Academy with a World Champion coach and a team of professionals coaches. All have competed or are still competing in their professional field. So you can experience world class boxing and fitness instruction – right here in Shanghai. This company is a global incubator and venture capital team funded by Anheuser-Busch InBev, the leading global brewer, to stimulate disruptive growth through brand, product and channel development.